Originally from Eugene, Oregon Shaun McCrain returned to the Pacific Northwest after working in some of the best kitchens in the world. A graduate of Seattle Central Community College he started his career at the Painted Table. His travels have led him to Masa's and La Folie in San Francisco, Elysees du Vernet and Taillevent in Paris and the opening team of Thomas Keller's Per Se in New York City. After rising to the position of Executive Sous Chef he headed back to the West Coast to work with former Per Se colleague Christopher L'Hommedieu at Michael Mina. In 2010 he accepted the position of Chef at Book Bindery Restaurant here in Seattle. 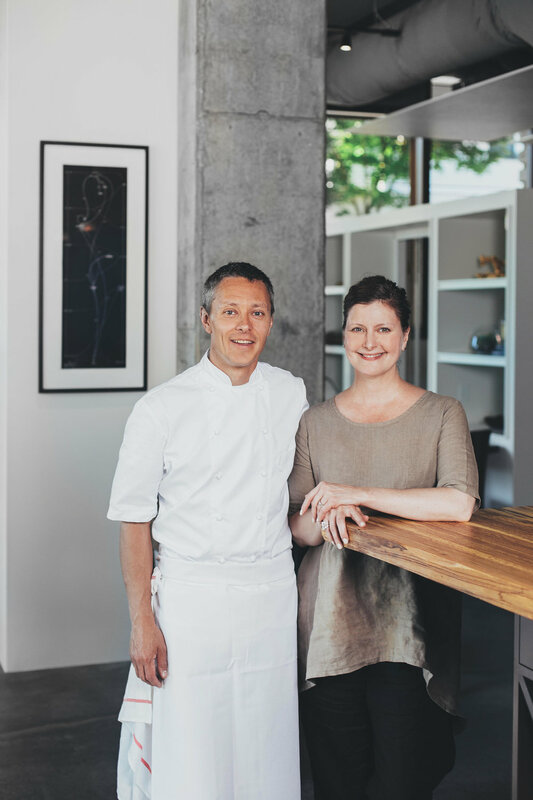 After 4 years leading that kitchen he and his wife Jill Kinney departed to begin work on Copine. Ms. Kinney has worked for many celebrated Chefs and Restaurateurs including Jean Georges Vongerichten, Lidia Bastianich, Michael Mina, Thomas Keller and Thierry Rautureau. She has been involved in the restaurant business since she was very young. Her focus is building strong teams and teaching hospitality.